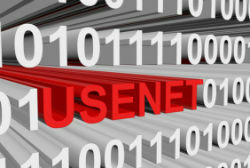 A prolific Usenet uploader will pay a cash settlement to Dutch anti-piracy outfit BREIN. The man, who shared over 1,500 TV shows, agreed to pay a €7,500 fine and has stopped his activities effective immediately. Dutch anti-piracy outfit BREIN has been very active over the past months, targeting uploaders on various sharing sites and services. This week the anti-piracy group announced that it has scored yet another victory against a frequent copyright infringer in the Netherlands. The dispute in question deals with a large-scale Usenet uploader, who shared over 1,500 TV shows including episodes of popular series such as Arrow, Blacklist, and Person of Interest. After he was found out the man, who isn’t named, agreed to pay €7,500 in damages and stop his activities effective immediately. If not, an ex-parte court order requires him to pay an additional penalty of €2,000 per day, up to a maximum of €50,000. According to court records (pdf), BREIN used the message-id of the NZB files to link the uploads to the defendant. These files were also traced to various posts on NZB spot-sites where the man advertised his uploads. As usual, BREIN says that the financial situation of the uploader was taken into account to determine a suitable settlement amount. As such, it says more about the pirate’s financial position than the value of the 1,500 TV shows. Over the past months, the Dutch anti-piracy group has focused heavily on catching individual uploaders, whether through Usenet, BitTorrent, Facebook, or other platforms. Shortly, BREIN is planning to go after uploaders on a much larger scale to increase the catch-rate. To achieve this, they have already started to monitor IP-addresses of frequent BitTorrent users. As is common in these type of anti-piracy cases, the settlement money doesn’t go to artists or other rightsholders. Instead, it will be used by BREIN to fund future enforcement campaigns.